Tony Palafox- Victory Gym Trainer info. 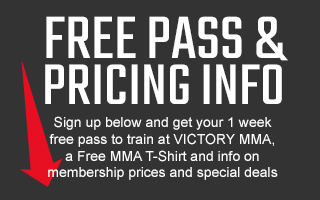 from Victory MMA and Fitness on Vimeo. Tony teaches incredibly fun and informative classes, always including focused instruction so members learn as well as get a great workout. He is also the consummate professional Coach. Tony started at an early age, competing first as a Boxer and later as a Muay Thai fighter. With over a decade of experience he has trained boxing Champions and UFC Fighters, such as Dean Lister, Shannon Gugerty, Myles Jury, Paul Bradley and Diego Sanchez, as well as hundreds of average people who return again and again to experience Tony's intense and rewarding training sessions. Tony combines skills training with a measure of patience and understanding rarely found in the boxing world, and prides himself on his teaching skills above all else.